On March 9, 1965, President Lyndon Johnson signed a bill creating the Appalachian Regional Commission, known as the ARC. The agency’s goal was to bring impoverished areas of Appalachia into the mainstream American economy. 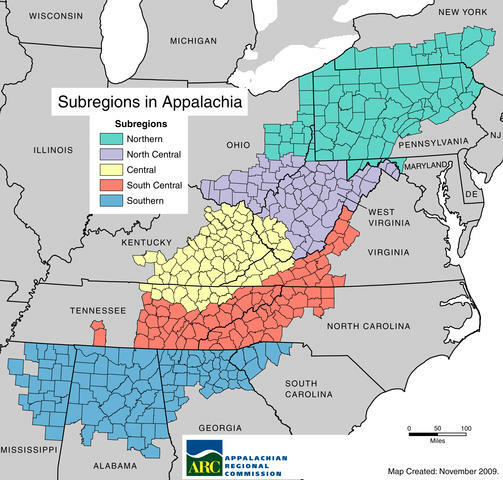 While the ARC serves parts of 13 states, West Virginia is the only one that lies entirely within the boundaries of Appalachia. ARC programs fall into two main categories. An area development program provides funding to generate jobs and economic growth. Most West Virginians, though, are more familiar with the second category. The ARC’s Appalachian Development Highway System has built a network of roads to connect isolated areas that were bypassed by the interstate highway system. It originally featured 23 corridors, identified alphabetically. West Virginia’s road system includes Corridors D, E, G, H, L, and Q. The Corridor L project also produced the spectacular New River Gorge Bridge on U.S. 19 in Fayette County. In addition, the ARC is linked to West Virginia through two longtime U.S. senators. Jennings Randolph helped created the commission, and Robert C. Byrd repeatedly found money to save the ARC when critics tried to defund it.